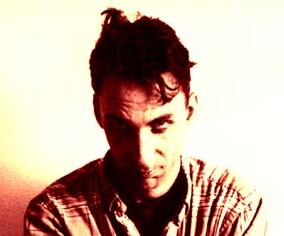 Will Self is the man who brought a whole new meaning to the phrase “mile high club”. Unless you were in a apathy-induced coma during the run-up to the general election, (or living in another country), you can’t have failed to have seen Self’s face plastered over the front page of every newspaper thanks to the fact that he snorted heroin on John Major’s election jet. Self was promptly sacked from his position at The Observer, was refused to be allowed anywhere near Tony Blair and became the subject of frothing tabloid editorials for days afterwards. (For those of you who want to know more, check out LM’s report). 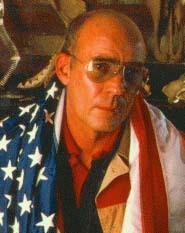 This episode ties in neatly with Self’s already well-honed media persona – a former heroin addict, enfant terrible of the London literary scene, the English successor to American Gonzo journalist Hunter S. Thompson, as well as being an acclaimed novelist obsessed with sexual perversity, gratuitous violence and lashings of Class A drugs, author of such works as My Idea Of Fun and The Sweet Smell Of Psychosis. It’s easy to see why Self got the coverage he did: his CV is copy which virtually writes itself. However, being catapulted from cult fame to tabloid shame is not something Self either desired or required. While it may lend an extra edge to the publication of his new novel Great Apes, there’s no room for accusations of the election jet episode being a calculated publicity stunt; with two children to support and a third on the way, chucking away a £40,000 a year job in the hope of a few more book sales is not an option. However much the press want Self to be the new King Of Gonzo, he’s not accepting the coke-encrusted crown. Self took the heroin because he needed it, like a diabetic needs insulin. It was for medicinal rather than media purposes. It’s Self’s acute connection to reality that allows him to parody it so mercilessly in his writing. 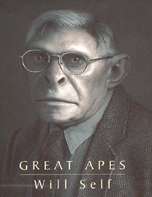 Great Apes functions on the premise that its protagonist Simon Dykes awakes one morning to find the world has irretrievably changed; everyone, from his girlfriend to his psychiatrist, has transmogrified into a chimpanzee. Unsurprisingly, Dykes goes humanshit (groan) and Self follows through the ramifications of his story with masterful chimpunity (groan again). Self squarely classifies himself as a satirist, feeding off the tradition of Jonathan Swift – who he considers “the satirist’s Shakespeare” – and the Enlightenment’s fascination with the arrival of the first chimpanzees in Europe in 1699. Self’s self-awareness of his own intellectual history and the writers to who have shaped his own work has been intensified by his dual role as both novelist and journalist, putting him in the strange position of regularly coming face to face with his own literary heroes. But he’s ambivalent about the value of such encounters: “Without being blasé it’s not something that appeals to me particularly. I went to interview Ballard for a 1000 word piece for the Standard and wound up talking to him for 4 hours. I really admire his work and had the fantastic, incredible bonus of finding out that he really liked my work too. But that was that. 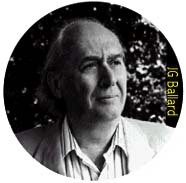 I don’t think we felt the need to meet each other ever again for the rest of our lives, although Ballard said, ‘If people like you had been around in the 60s, I would have got out more, but now it’s too late!’ which I thought was sweet. 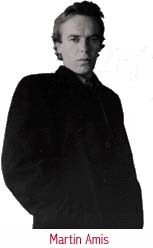 One writer with whom Self does regularly associate is Martin Amis, possibly England’s most celebrated living novelist. Self ‘s attempt at an interview with Amis (reproduced in Junk Mail) turned into something nearer to an open discussion of each other’s work as writers both documenting the state of England at the close of the century. With Amis having already passed through the unasked for role of enfant terrible that Self is now encountering, there is something to the idea that Amis has mapped out some of the territory that Self is now exploring. “I was thinking about Martin last night,” admits Self, “about the way that our careers run quite parallel in some ways. Money was published in 1984, when Martin was the same age that I am now, maybe a bit younger – and that was his breakthrough novel in a way. He’s always seemed to me to be a writer who’s much more interested in writing than I am . Although my actual prose is heavily larded with intertextual references, I’m somebody who writes without being concerned with the internal mechanics of writing per se – I want to write about philosophy or anthropology or animals, I’m more interested in aiming out and I guess that’s reflected in my journalism.